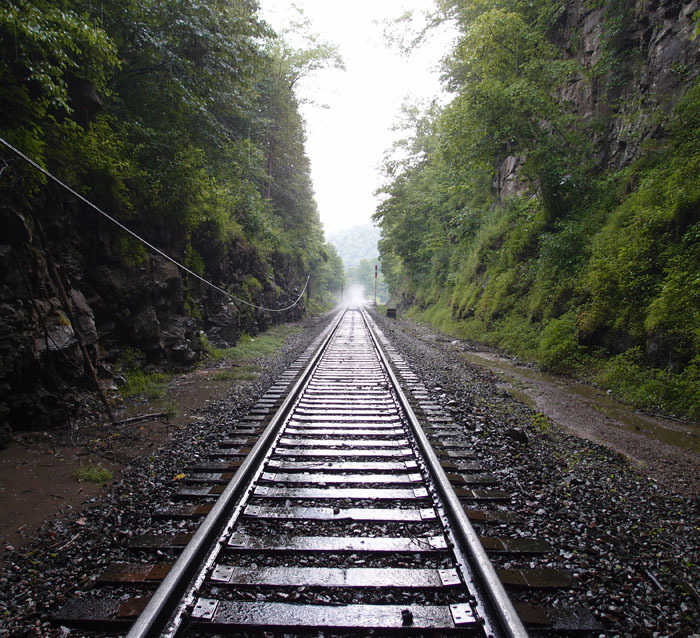 First it was timber that drove the railroads, narrow gauge lines, into Buchanan County VA. The timber baron W. M. Ritter ran Shay engines and a few passenger cars along with his freight cars, the Big Sandy & Cumberland Railroad, all over Knox Creek, up the hollows and, eventually, on into Grundy. 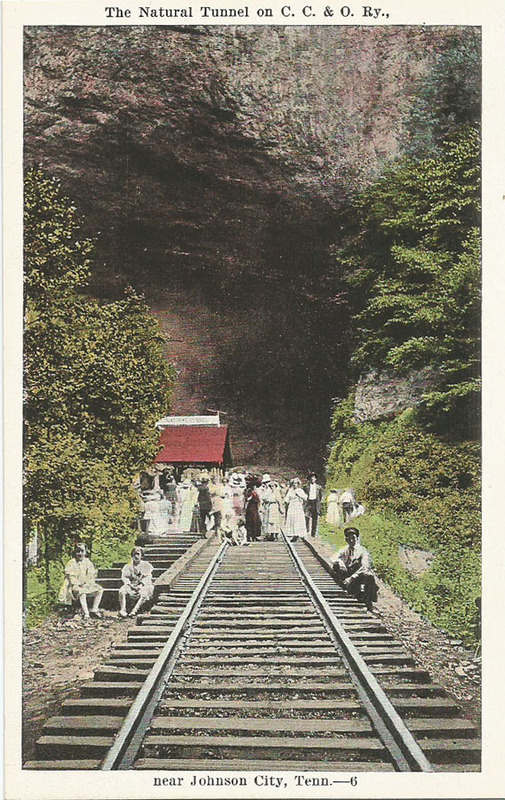 When the N&W line took it all over in 1923, they had a problem. N&W was standard gauge. Shay engines can do a 6% grade, slowly, but the big non-geared wheels of the steam engines couldn’t. 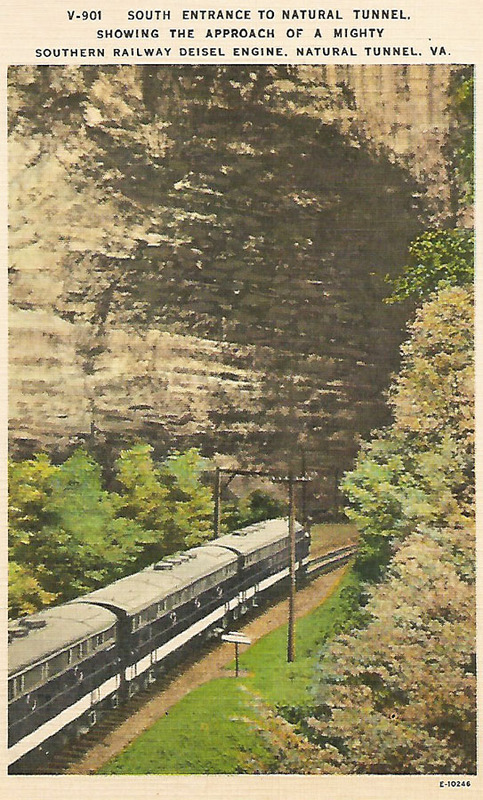 The N&W opened its company coffers and rebuilt the line to reach the rich coal beds in the area. 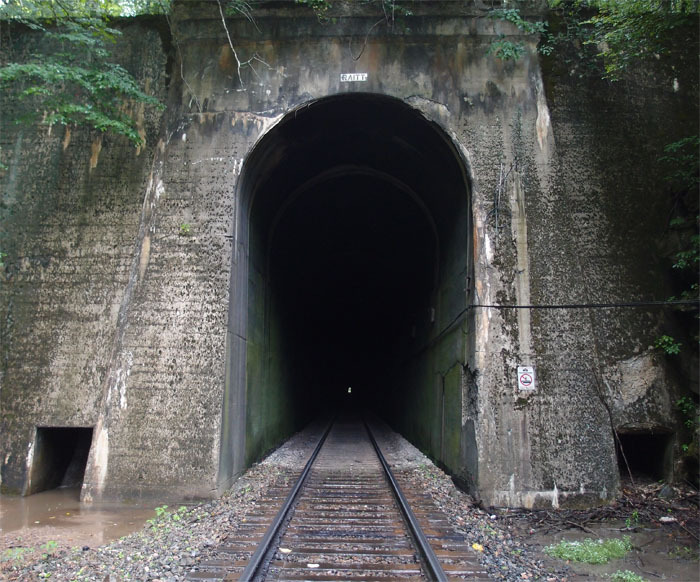 They built a wye over the Tug Fork from the Pocahontas Main Line and constructed this tunnel, Devon Tunnel. 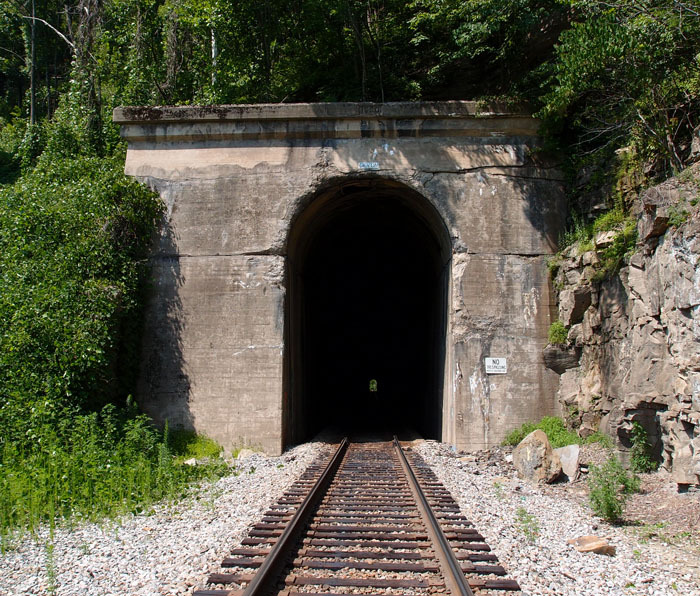 This north portal is at 37.52763, -82.04658. You can see in the above picture, on the left wall of the tunnel, a niche. Apparently, there was once a manual switching unit there. It’s all controlled now remotely. Here’s a better look at the mechanism. 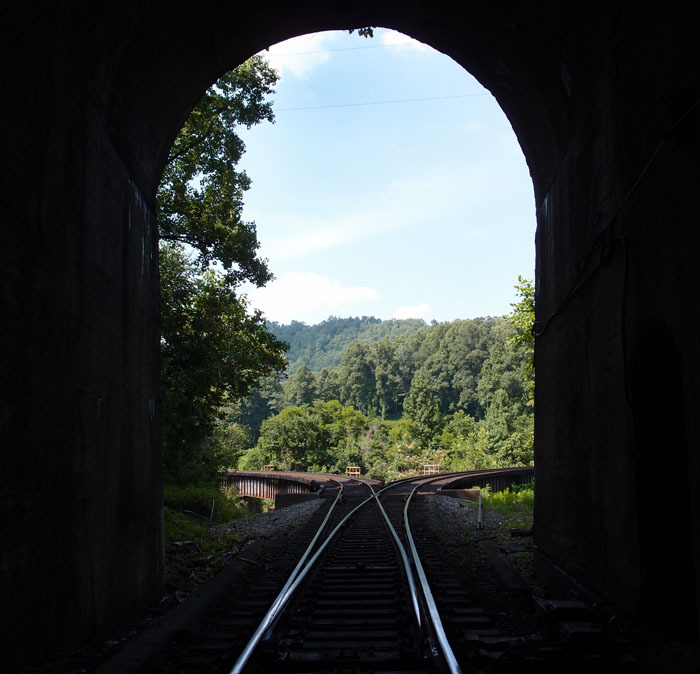 And, my favorite picture, looking out of the portal to the deck girders forming the wye over the Tug Fork. 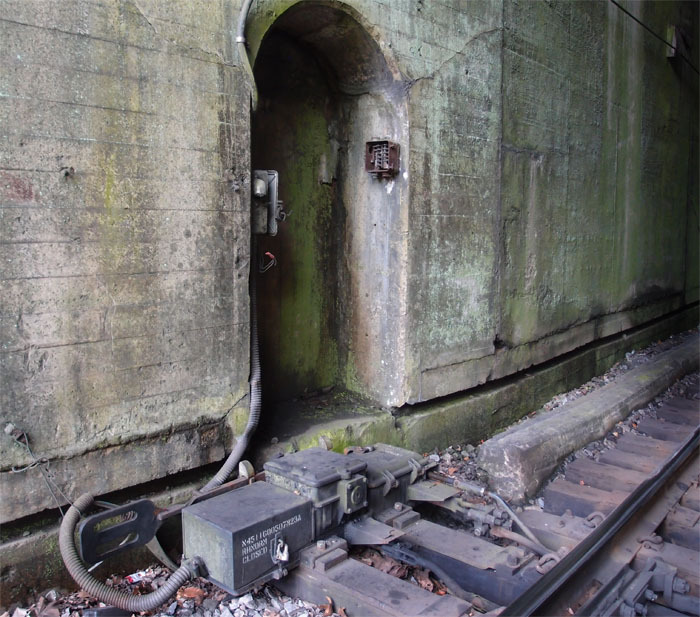 On the other side, about 1700′ back, is the south portal, a little more worse for wear. The date on both is 1930. 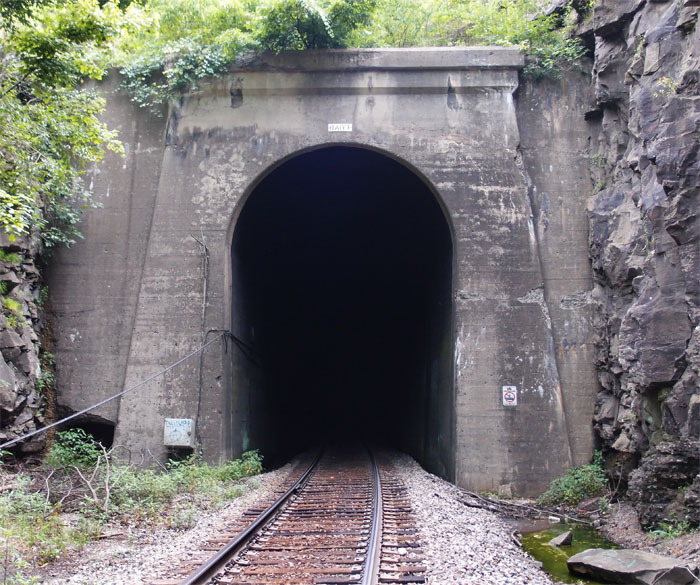 Raitt Tunnel was part of an expansion by the Norfolk & Western into the coal fields of Buchanan County VA. It’s 3,700+ feet long and was completed in 1931. 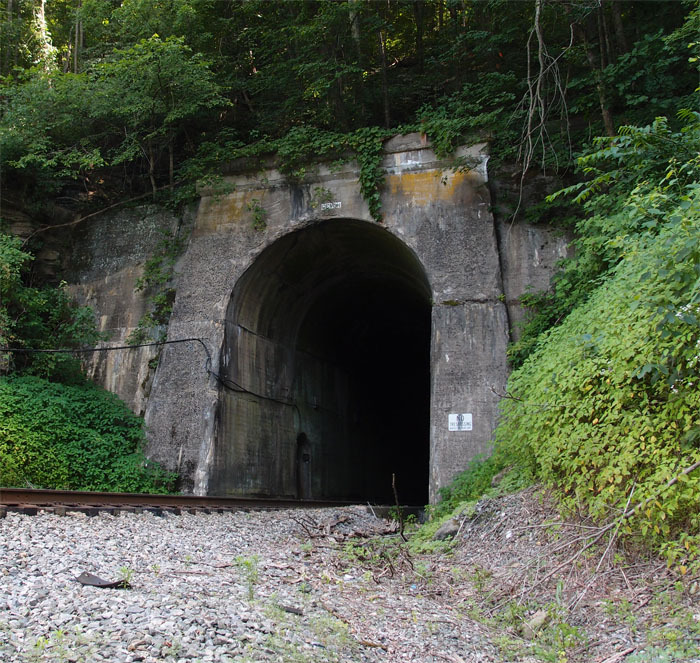 This west portal is at 37.35168, -82.07228 between Big Rock and Hurley. It’s just off the Highway 650 and, if you find the little trail down to it, it’s easy to get to. This is the east portal (37.35408, -82.05974). As I was walking up to it from the car, about 900 feet or so away, a sudden summer shower dropped a bucket or two of water on me. I kept the camera dry with my cap, but I got wet. The temperature that day in the sun was around 90 degrees and humid; the temperature at the portal was maybe 15 degrees cooler. The second picture is taken from the portal of the mist rising from the hot tracks after the cool rain.